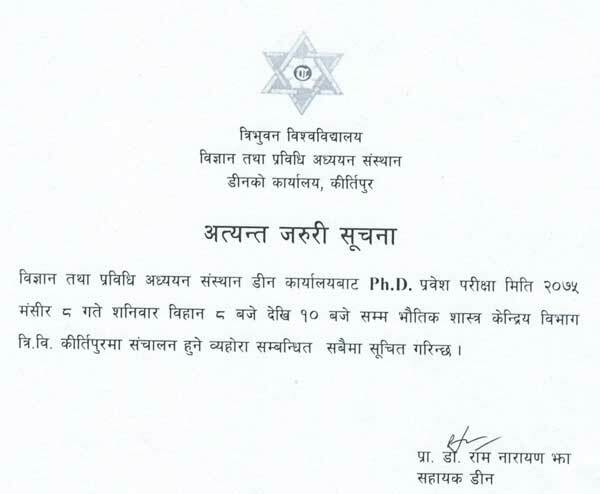 Tribhuvan University publishes Entrance Examination Notice of Ph. D.
Tribhuvan University, Institute of Science and Technology, Dean Office, Kirtipur, has published the entrance examination of Ph. D. which is going to be held from Mangsir 08, 2075 (November 24, 2018).